1. 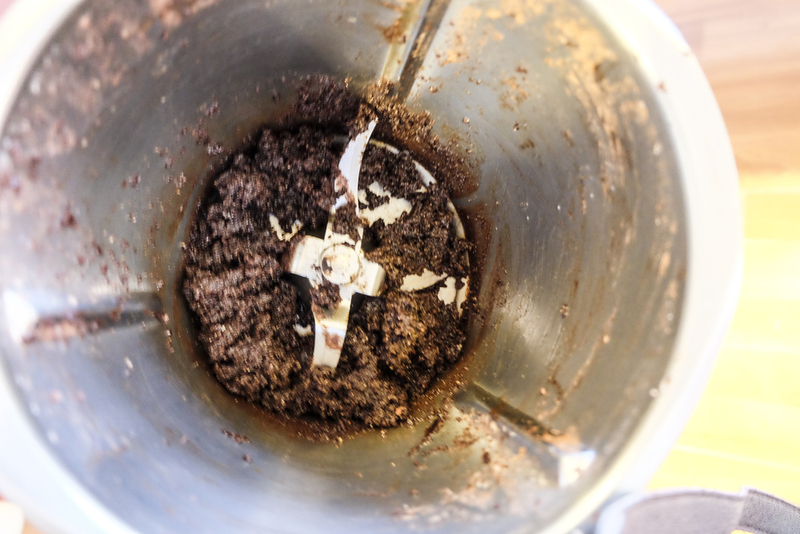 Put the hazelnuts into the thermomix bowl and mill at Speed 7 for about 15 seconds. Remove from bowl and keep aside. 2. Melt the coconut oil for 2 mins at 50°C at Speed 1. 3. Add either honey or maple syrup, depending on how sweet you want it to be. I don’t have a sweet tooth so it this instance I added just a little over 1 tablespoon of maple syrup but you can always add more at the end to taste if you want. Now add the cacao powder, pinch of salt and milled hazelnut. I suppose you can add the cream cheese at this point too but if you want to omit the cream cheese, you can as well. I just like the consistency the cream cheese gave to the spread. Mix it all at about speed 5 until it is spreadable. It took about 3-4 mins for me with a scrap down in the middle. Keep spare in fridge. 1. Preheat oven at 160°C. Grease a 12 donuts baking tray. 2. I had almond meal left over so I didn’t have to mill the almond but you can just mill the almonds at speed 7 for about 15secs. Remove from bowl and keep aside while you prepare the next steps. 3. Melt the coconut oil or butter for 2-3 mins at 50°C at Speed 1. 4. Add eggs, almond meal, cinnamon, baking powder, salt, and maple syrup (if you want a sweetener). Mix at Speed 5 for about 5-6 minutes until the almond is well mixed through, you may need to scrap down the bowl in between. 5. Pour mixture into the pre-greased baking tray, and bake at 160°C for about 15 mins. Cool before spreading the nutella cream cheese spread. Enjoy a filling, satisfying healthy treat with a cup of tea! It is filling so you won’t be stuffing your face and there will be leftovers. My kids loved it. Who doesn’t love donuts!